The main drawback of using the Master Sword in Zelda BoTW is that is runs on energy. Once it’s out of energy, you need to wait ten minutes for it to recharge. During that time, you’re back to using regular weapons. Luckily, some enterprising players have discovered a way around the restriction, a Master Sword infinite charge exploit. Keep in mind, this method requires you to own the Master Trials DLC. You can get it as part of the season pass, but if you hadn’t already planned on getting it, this alone hardly makes it worth it. The reports we’ve seen mention the trick working on an upgraded version of the weapon – we don’t know whether it works before you’ve beaten the Trial of the Sword. The trick is quite simple, really. So simple it’s probably going to be patched in the next update. 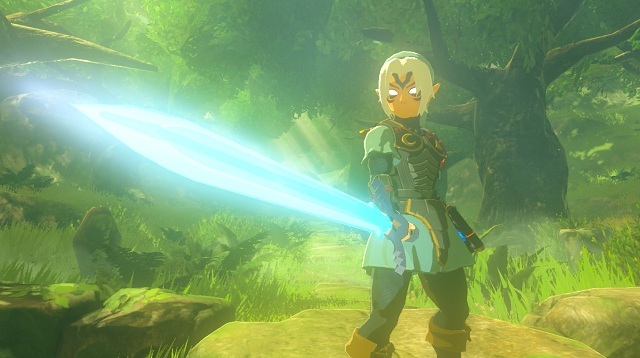 All you need to do is wait until your sword is almost spent, then go to Korok Forest and start the Trial of the Sword. It doesn’t matter which part of the trial you spawn into. As soon as you’re in, teleport out. When you’re off the loading screen, your Master Sword will be as good as new. This is of great help if you’re on a Lynel hunt, which you should be, if you want the Golden Lynels to spawn. It’s also a boon if you’re playing the super difficult Master Mode. Heck, it’s even useful on normal difficulty – waiting for the sword to recharge is a drag, and going back to using normal weapons is like downgrading to a toothpick. They’re weak, they break easily, and they don’t have the emotional value of an item we’ve been using on and off for more than twenty years.